TravelMedia.is a full service public relations, marketing, events, communications and travel trade representation company, founded in 2006, and managed by Michael Collins. TravelMedia.ie is one of Europe’s leading travel media companies – specialising in PR, events, media buying, strategic advice, industry consultancy, digital communications and social media within the travel industry for both trade and consumer – delivering measurable results for our clients. Below are our core areas of expertise. We are Affiliate Members of the ITAA (Irish Travel Agents Association). We are regularly on the road all around Ireland visiting agencies and operators, either promoting our bi-annual Road Shows or on behalf of clients. All successful content marketing campaigns start with unique, inspiring great content, be it an image, a video or the written word, which should always be hosted on or lead back to the client website. We develop great content for all our clients. We blog ourselves and for many of our clients. We have a full time in-house blogger as well as many freelance bloggers, writers and content creators. On a daily basis we manage content calendars and schedules and social media content distribution on behalf of our clients. Evergreen content should be shared again and again and again. Facebook and Twitter page setup and management, Facebook and Twitter content marketing, Facebook and Twitter contests, Facebook and Twitter post schedules, organic page growth, third party apps, social media reporting. Also YouTube, Google+ and LinkedIn. Press releases, photocalls, press trip management, media monitoring and clippings, one on one media meetings and introductions, press launches and events. We are partnered with one of Europe’s largest media buying agencies, giving us unrivalled access to the best prices, packages and deals online, in print, outdoor and on broadcast. More and more we are integrating bloggers into our client media relations strategies. We work with bloggers on trips and also as content creators. Many of our blogger contacts have bigger audiences than traditional print and broadcast media, and they understand what it really means to be social and share and engage with great content. We are European partners for TBEX – Travel Bloggers Exchange – the largest travel writers and blogging community in the world. Michael Collins, our founder, is a regular speaker at TBEX Europe and will be speaking at the first ever TBEX Asia this October in Bangkok. In May 2015 Michael was keynote speaker at TBEX Europe Costa Brava. 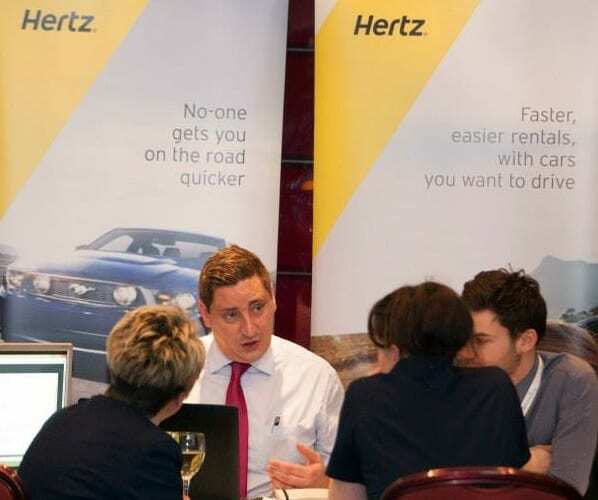 We organise road shows and events for our clients as well as our own events such as the annual Travel Media Awards, our bi-annual travel industry road shows. We organise regular events in Dublin, Belfast, Cork, Limerick, Waterford, Galway and Kilkenny. Interested in hearing how we can help your business? Contact us to discuss your needs and what we can do for you.